Kate Grenville had always associated perfume with elegance and beauty. Then the headaches started. Like perhaps a quarter of the population, Grenville reacts badly to the artificial fragrances around us: other people’s perfumes, and all those scented cosmetics, cleaning products and air fresheners. On a book tour in 2015, dogged by ill health, she started wondering: what’s in fragrance? Who tests it for safety? What does it do to people? The more Grenville investigated, the more she felt this was a story that should be told. The chemicals in fragrance can be linked not only to short-term problems like headaches and asthma, but to long-term ones like hormone disruption and cancer. Yet products can be released onto the market without testing. They’re regulated only by the same people who make and sell them. And the ingredients don’t even have to be named on the label. 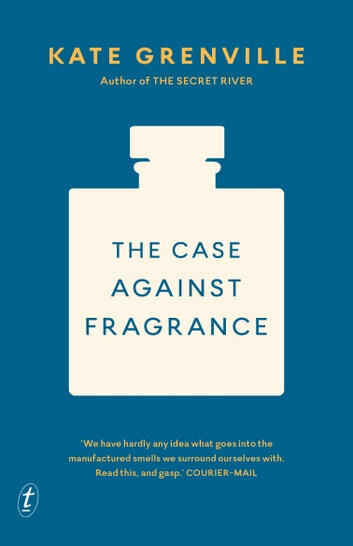 This book is based on careful research into the science of scent and the power of the fragrance industry. But, as you’d expect from an acclaimed novelist, it’s also accessible and personal. The Case Against Fragrance will make you see—and smell—the world differently. When I was little, my mother had a tiny, precious bottle of perfume on her dressing-table and on special occasions she’d put a dab behind her ears. The smell of Arpege was always linked in my mind with excitement and pleasure–Mum with her hair done, wearing her best dress and her pearls, off for a night out with Dad. When I got old enough to have my own special occasions I also had my favourite perfume. I loved the bottles: those sensuous shapes. I loved the names and the labels, so evocative of all things glamorous. Kate Grenville is one of Australia’s most celebrated writers. Her bestselling novel The Secret River received the Commonwealth Writers’ Prize, and was shortlisted for the Man Booker Prize and the Miles Franklin Literary Award. The Idea of Perfection won the Orange Prize. Grenville’s other novels include Sarah Thornhill, The Lieutenant, Lilian’s Story, Dark Places and Joan Makes History. 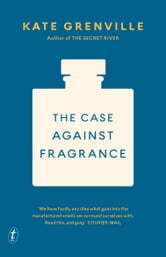 Kate lives in Sydney and her most recent works are the non-fiction books One Life: My Mother’s Story and The Case Against Fragrance.